Congratulations on successfully navigating Yield Season 2017! Now, on to the next phase—ushering your class through the required processes to ensure they show up on the first day of class. 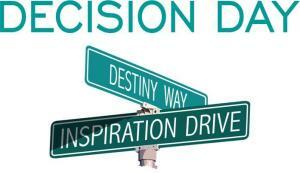 The predictor of enrollment is excitement and emotional commitment. 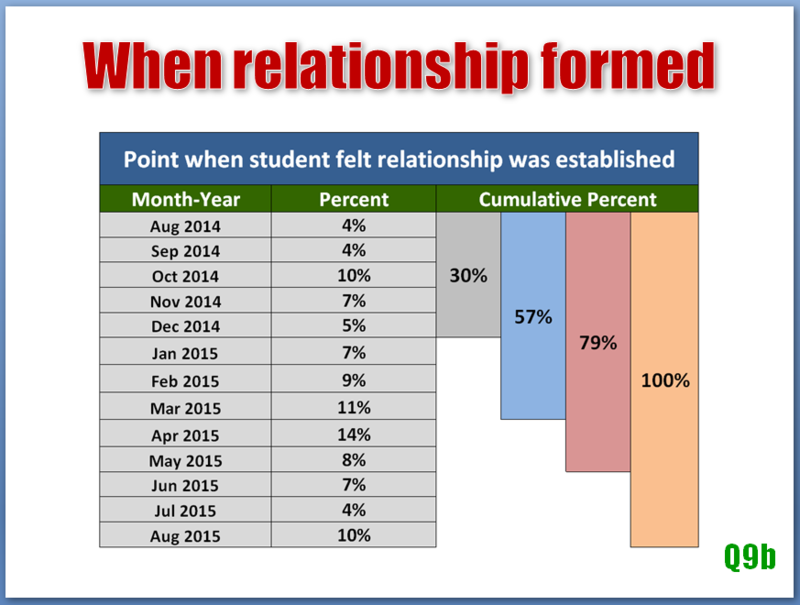 Students who don’t feel an emotional attachment to your college are far more likely to melt. 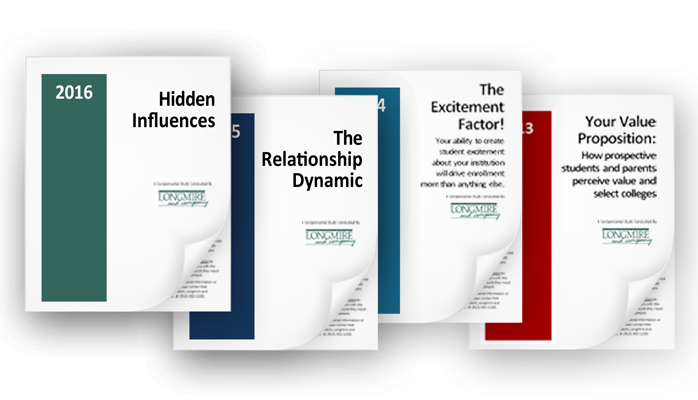 You can look to findings from four recent co-sponsored studies for some guidance. 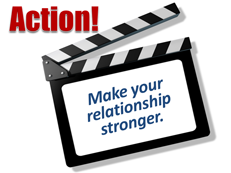 The studies point to specific actions you can take during orientation and beyond to strengthen and maintain the relationships you have worked so hard to build with your admitted students AND create meaningful connections with those students who have yet to bond with your college. 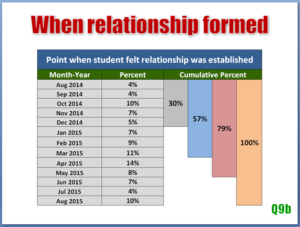 Here is what the data tells us students really want and the techniques you can successfully implement today to give it to them. 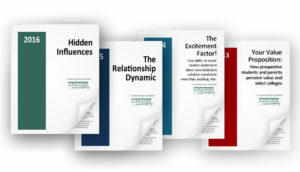 In our most recent co-sponsored study, “Hidden Influences: Revealing the unspoken perceptions that prospective students have about your college and why it matters in your ability to grow and control enrollment,” we asked over 18,000 college-bound students whether they felt the colleges they considered were more focused on understanding their needs and preferences or more focused on presenting information about their institutions. Showing your interest in and focusing on the specific needs and concerns of your committed students is crucial to ensuring they matriculate. Students see college as the beginning of a new chapter in their life and many are apprehensive about all of the transitions associated with going to college including moving away from home, meeting new people, leaving the comfort and familiarity of high school, and new educational challenges ahead. Without the safety net of the high school counseling office to turn to, some students may fall through the cracks. In our “Value Proposition” study, we learned that a student’s excitement about attending a college is more predictive of enrollment than other key factors, such as cost and perceived quality of the institution. 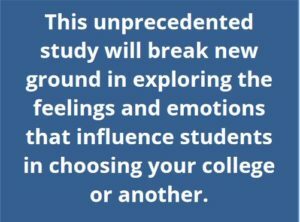 We explored that further in “The Excitement Factor” and discovered that over one-third of students actually experience an “AHA” moment where they can recall the precise instant, place or circumstance when they experienced a rush of emotion and realization that a specific college was the right choice for them. In most cases, the student’s epiphany happens when they are on campus but the people, places and circumstances involved are widely varying, highly personal and unpredictable. The job of any college, as it relates to recruiting students, is to put the student in a place or frame of mind where this epiphany can happen. To enable the student to envision what their life will be like. You’ll have additional opportunities to do that for students you expect to enroll. Consider this: In our national co-sponsored study, “How Customer Service Delivery During the Recruiting Cycle Influences Enrollment,” we found that 53% of students and parents say that the service they receive from a college during the “shopping process” influences their selection decision. We also see this in our work with individual colleges that utilize our assessment program, Service Quality Management (SQM). They know, as do you, for many students the selection process continues well beyond the point at which they make a promise to enroll. Our studies have found that poor service delivery, across any brand touch point on campus, often outweighs other important factors, including strength of academic programs, faculty reputation and even the financial aid offered. Prospective students and parents view the pre-enrollment service they receive as predictive of how the student will be served after enrolling. They will change their mind about a college or avoid it altogether if they receive poor service. Your admission counselors can be powerful influencers in creating a bond between your college and the students they have recruited. Stay in touch, ask questions and have meaningful conversations throughout the entire process. 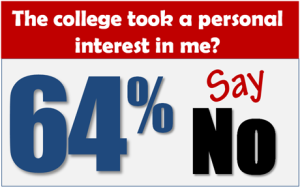 Make the student feel wanted, important, and engaged with the college. Connect the student to people, places and activities that will create excitement about the college. Identify students who are at risk for summer melt and enlist support for them from current students, faculty or other new admits. Find unique ways to connect your incoming class to current students through social media sites, texts and your orientation programs. Some colleges have created videos of current students addressing their own pre-enrollment concerns that they share with newly-admitted students. Seeing a successful, happy student talk about how their own anxieties turned out to be unfounded can be a great stress reliever. By its very nature, college orientation is very process-driven: read this, hear this, watch this … Instead, create entertaining programs and activities that engage students, foster enthusiasm, and enable the student to feel what it’s like to be a student and a part of your community. Moat importantly, build in opportunities for admitted students to connect with (not simply meet) other newly-admitted and current like-minded students. To avoid losing students before classes start, be sure to give them a stellar experience everywhere and at all times. Students and their parents agreed that a single bad experience can be the catalyst for completely derailing the prospective student’s original enrollment plan. The most often cited negatives include unkempt grounds, buildings and restrooms; lack of clear signage; unfriendly staff and faculty; excessive phone hold times; unresponsive staff; and overwhelming paperwork. Just as importantly, the study concludes that offering great pre-enrollment service will not only “save” enrollments but it is also one of the best possible ways for a college or university to differentiate itself in today’s competitive environment. Unlike any other higher education research to-date, “Emotional Motivators: How to increase and control your enrollment by getting a deep and accurate understanding of how students really feel about your college,” will explore how students feel and, more importantly, why they feel that way, to give you a deeper understanding of the students you’re trying to recruit. 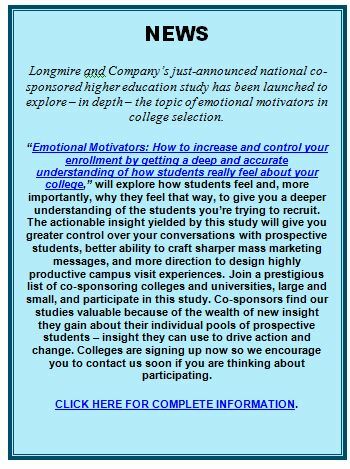 The actionable insight yielded by this study will give you greater control over your conversations with prospective students, better ability to craft sharper mass marketing messages, and more direction to design highly productive campus visit experiences.